Exodus 17:8-12:27 (Part of the Life on the road. series). Preached by Jonny Pearse on 24/03/2019 (Sunday Morning). Exodus 17:1-7 (Part of the Life on the road. series). Preached by Jonny Pearse on 17/03/2019 (Sunday Morning). Exodus 15:22-16:36 (Part of the Life on the road. series). Preached by Jonny Pearse on 10/03/2019 (Sunday Morning). Exodus 12:1-15:27 (Part of the Life on the road. series). Preached by Jonny Pearse on 17/02/2019 (Sunday Morning). Exodus 7:14-25 (Part of the Life on the road. series). Preached by Jonny Pearse on 10/02/2019 (Sunday Morning). Exodus 5:1-7:13 (Part of the Life on the road. series). 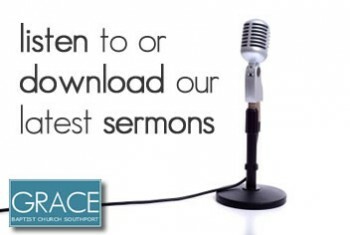 Preached by Jonny Pearse on 03/02/2019 (Sunday Morning). From Willing but not Ready to Ready but not Willing. Exodus 3:1-4:31 (Part of the Life on the road. series). Preached by Jonny Pearse on 20/01/2019 (Sunday Morning). Exodus 2:1-25 (Part of the Life on the road. series). Preached by Jonny Pearse on 13/01/2019 (Sunday Morning). Exodus 1:1-22 (Part of the Life on the road. series). Preached by Jonny Pearse on 06/01/2019 (Sunday Morning). Can you see Jesus in Exodus? Exodus 3:1-16 (Part of the All Age Service series). Preached by Stuart Harding on 16/07/2017 (Sunday Morning).